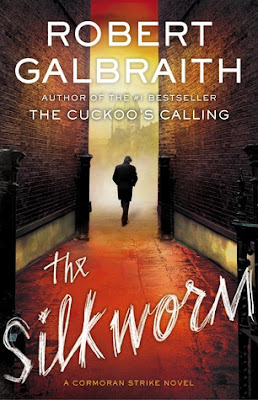 Summary: When novelist Owen Quine goes missing, his wife calls in private detective Cormoran Strike. At first, Mrs. Quine just thinks her husband has gone off by himself for a few days—as he has done before—and she wants Strike to find him and bring him home. Fan-flipping-tastic! I very much enjoyed the first Strike novel & I think I like this one even more. I finished and actually searched to see if I could find the publishing date for the next installment. I was disappointed that I couldn't. I've only read the Strike books and A Casual Vacancy by Rowling and I have been a very satisfied reader. I didn't figure out who the murderer was but as soon as it was revealed I facepalmed harkening back to Strike's initial meeting with the character and the goings on in their office that day. I had the last in a long line of "ick" moments and found myself being skeeved once again. I admit here and now that I'm shipping Cormoran and Robin. I thought Matthew was an insufferable bore and was very glad that his marriage to Robin has not come off in the second book. I'm hoping it never does. In fact, I'm rooting for him to be unable to be actually deal with Robin's attentions on something other than himself and possibly surpass him in job satisfaction and success, that he does something self-sabotaging so Robin can dump him for good and all. I honestly didn't feel badly that his mother died and this cause him pain, I so dislike him. Still, it was good to see Robin assert herself in this installment and say what she wanted. Hopefully, she'll realize soon that she's outgrown him and can do much better. He made it sound very much in this book that she's lucky to have him and that his choice of her from the start was that she was the best of a short shrift of locally available options. In a word, he's a pratt. Another true pratt in the book is Charlotte and I'm happy to see Cormoran held his resistance of her well. 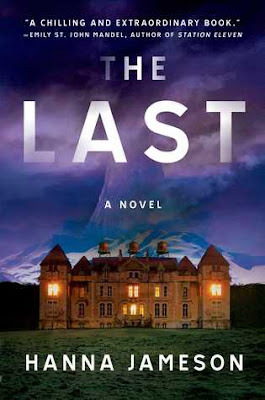 As with the first book, I thought this was pretty vivid and the characters do come alive in description. Quine's staged murder was gory and unforgettable. The publishing cadre were a well rendered, self-conscious hot mess of a group. They were quite the cast to read about and I can't say which I found most eccentric. It was great to meet Al, Strike's younger brother of another mother and gain more insight into Strike and his inner workings. I was truly and honestly worried about Strike's leg and felt his struggle as he pushed on and was almost tyrannical about wanting no help and definitely no pity. I'm just glad he got a walking stick and hopefully when his windfall from the Quine, cheating PA, and flirty almost-divorcee come in he can get a proper one along with a visit to his doctor and a week with his leg properly rested. Needless to say, I can't wait for the next. Buy it, borrow it, just make sure you read it. It's well worth it.